Specialty chemical maker Clariant International Ltd. has acquired Plastichemix Industries, an India-based masterbatch producer. Located in Vadodara – and with Indian production facilities in Rania, Kalol, and Nandesari – Plastichemix Industries is a supplier of black, white, filler and colour masterbatches, additive masterbatches, flushed pigments and mono-concentrates as well as engineering plastics compounds. “This acquisition is part of our global strategy to explore business opportunities in our Masterbatches business and to focus on emerging markets like India. The strong growth perspective of the plastics industry results in a bright future for the masterbatches business in India”, said Hariolf Kottmann, CEO of Clariant. 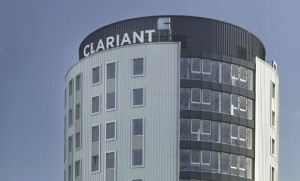 Clariant‘s masterbatches business unit operates more than 50 manufacturing plants around the world.